Back to school season means it’s time to come up with some great kids activities for after school. Depending on your work schedule or needs, you may need them to be occupied for a few hours each afternoon when they arrive home. These tips are just what you need to set a clear schedule and routine for them to follow! When your kids get home from school, they may not know what to expect. They spend all day knowing where to go that they may be lost when they get home. It may be time to put together an after school routine for your kids. These list of ideas for helping create the right kind of kids activities to keep them in a routine is a great place to begin. Before I jump into talk about an after school routine for your kids, it’s important to talk about why a routine works. Imagine how much better you feel when you KNOW what’s coming next. The same thing goes for children. When they have a routine, they feel a little better. No matter what is on your list of kids activities, it needs to be orderly and in a routine to help them feel like they know what is expected. I think one of my favorite parts of a routine is that it helps them know what to expect. Children crave routines for this very reason. Not only does it help my kids know what to expect, it helps me keep my cool. My kids can already be working on the next thing, instead of relying on me to tell them what’s next. Independence in children is AWESOME! Need I say more? This is the easiest part of putting an after school routine for your kids. Writing out the routine helps everyone stay on track. Thanks to Pinterest, there are all sorts of fun ideas when it comes to writing out a routine. You can make a pretty chart, buy a chart, or even print one out. You can use a pencil and piece of paper to write out the routine (for those of us who are pretty basic and simple). 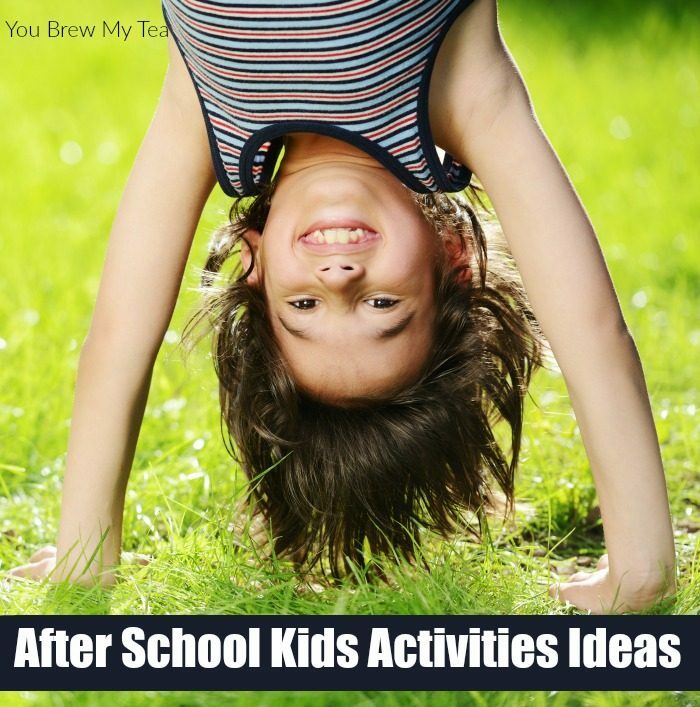 I love the idea of having an after school routine with kids activities that are both fun and functional. A list with your routine on it can keep them on track, but also give them some gentle reminders of things they can do to occupy their time independently. I love using a day planner, dry erase calendar, or even the new popular trend of bullet journaling to create something fun to help them track their routine and see new fun options. Over the years of parenting several children, I’ve come to realize that kids don’t always like to be told what to do. Let me explain. There is value in listening to your parents. However, it can get super annoying to ALWAYS have to do every single little thing they say. That is why I give my kids some say in their routine. Would they rather do their homework first or chores first? Maybe your kid would rather unwind for a bit before start anything. Every kid is different and sometimes their routine has to reflect this. 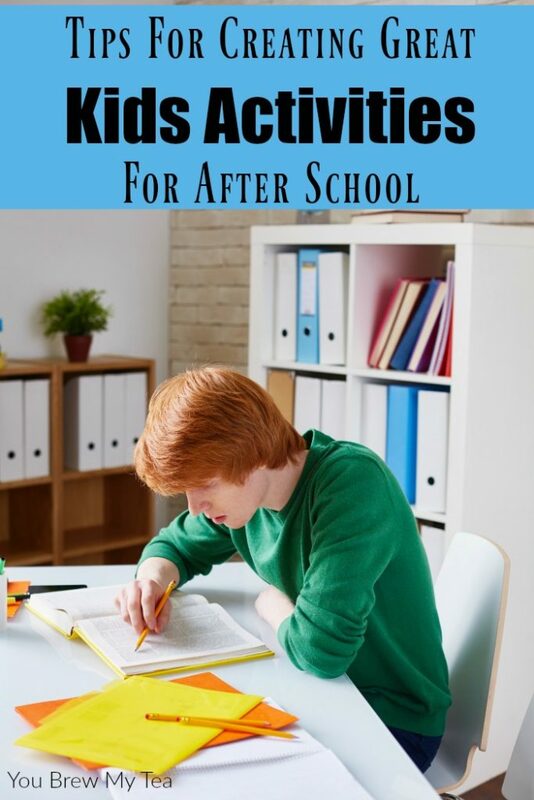 Finding the right kids activities to fit into your after school routine involves communicating with your kids and letting them make some of the decisions. Otherwise, it is just on more list of things they have to do and could become frustrated about easily. I get that you have things to do (doesn’t every parent). However, instead of just sending your child on their way, sit down with them and connect. Spend time doing things with them and being a part of their after school routine. Imagine how much better their day will be when they realize you’re making an intentional effort to be in it. Not every day has to be the same, just because you have a routine set in place. Want some of my advice? Go with the flow! Maybe there is a day that your child needs a little extra fun or they have extra energy to burn off. You can stick to the basics of a routine, without going overboard. In fact, allowing a little flexibility can help your kids a lot. When it comes down to putting together some good kids activities for your after school routine, include the serious and the fun. Don’t just include their homework, chores, and getting ready for bed. Add in the snack time, fun time, and “free time.” Your children may come to love those parts of their routine. Not all routines are great. You may find that the routine you put together for your child just doesn’t work. Don’t take it personally, but it may take some time for you to find the right after school routine for your kids. For example, you may find that your child does better with having a snack first and then playing outside later. Do a little experimenting and see what works for your child! At the end of the day, don’t be afraid to switch it up because routines don’t have to be written in stone. Putting together a routine isn’t always easy, but it can be done. By following these tips, and adding some good kids activities to teach them responsibility, and to help them have fun, you’ll be able to put together a routine that your child starts to crave. Routines are good for the mind and body because when you regulate your daily routine, life just seems easier and less complicated.